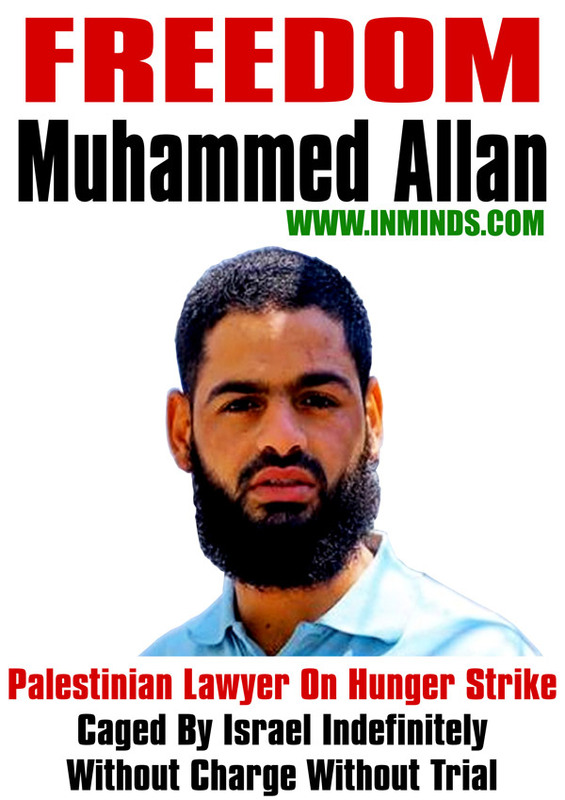 Following on the heels of Khader Adnan's recent victorious 55 day hunger strike that resulted in his freedom, after one year of being caged without charge or trial under administrative detention, two more administrative detainees are on hunger strike demanding an end to Israel's illegal practice of administrative detention. Both Allan and Isteiti started their hunger strike on 15th June 2015, and by friday 24th July they will have been without food or nutrients for 39 days. 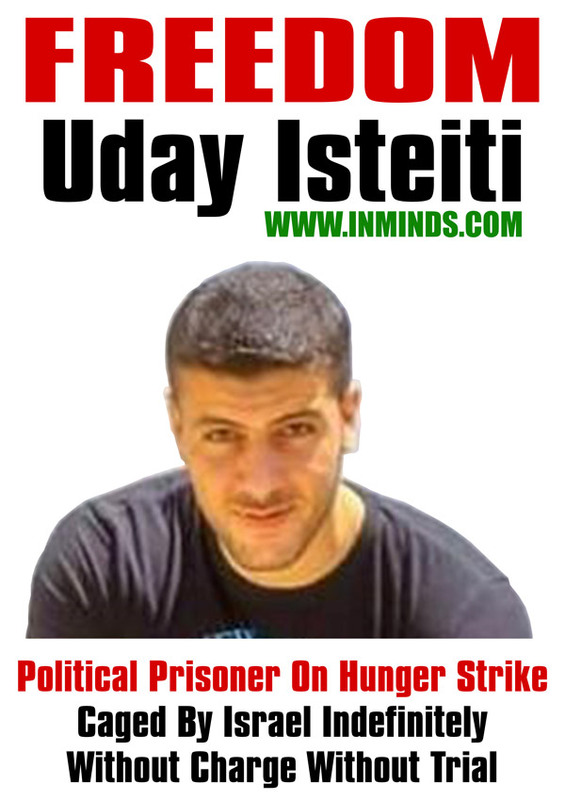 Their hunger strike follows the manner of Khader Adnan's hunger strike in that they are refusing everything apart from water so their bodies cannot survive long. Their lives are in critical condition and we must act now to save them. 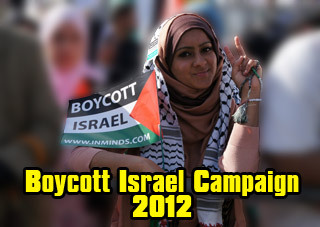 Please join us on Friday 24th July 2015 at 3pm outside the headquarters of the British security contractor G4S, which secures many of the dungeons and torture dens where Palestinians are caged and abused, to demand freedom for the hunger strikers and all Palestinian political prisoners, and an end to administrative detention. 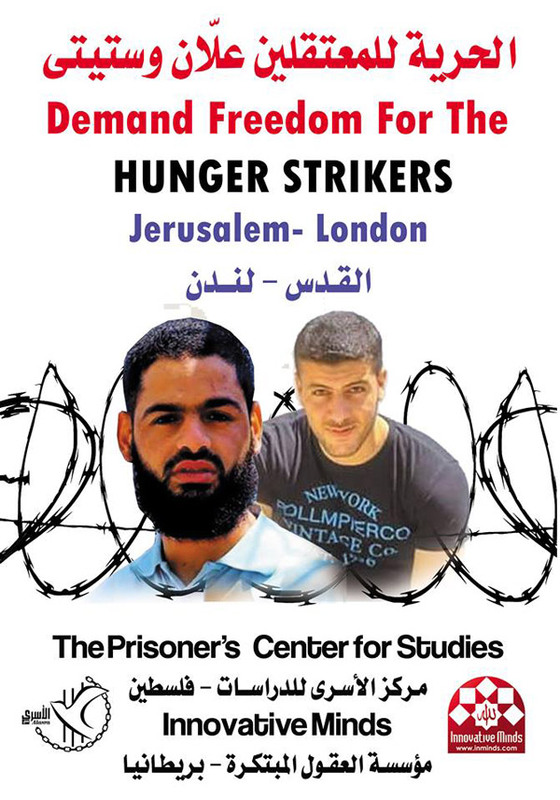 This protest is being organised in co-ordination with our friends at the 'Prisoner's Center for Studies' in Gaza as part of a joint protest with one they are holding at the same time in Gaza to show global united solidarity with the hunger strikers. 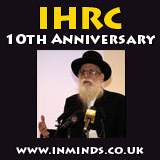 We thank them for the help they have provided in vital information that has helped us mount this protest.